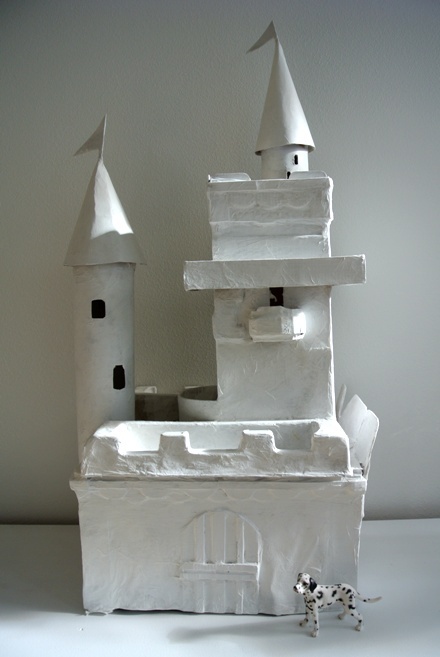 This diy cardboard castle was originally built for a work project. 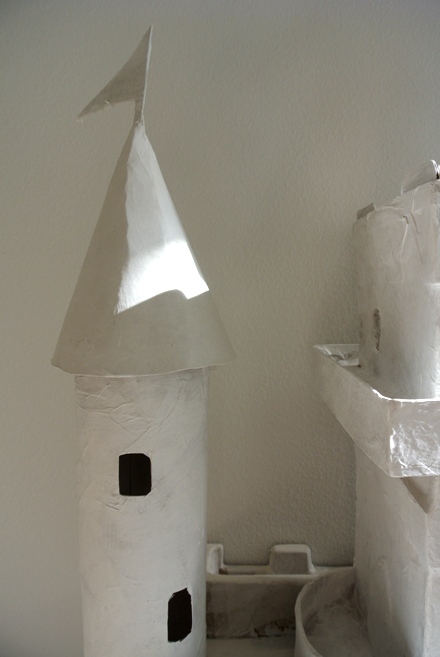 It is made from old cardboard packages of different shapes and sizes and then covered with white tissue paper. Now I brought it home for kids to play with - and to test for durability. And maybe we will paint it if we get bored with white.